AC3A is an association, its members are the Chambers of Agriculture from the Atlantic Area in France. A number of representatives from the Atlantic Chambers of Agriculture act as contact points for AC3A. They work regularly with the AC3A staff to develop ideas for projects, pass on important needs, and highlight interesting activities going on currently in the Chambers which could be part of cooperation projects. 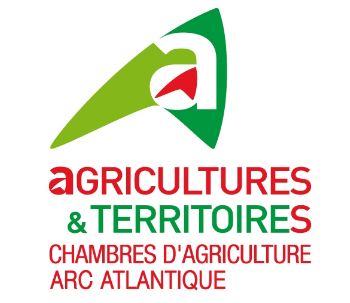 AC3A deals mainly with agricultural issues and challenges facing the Atlantic regions (in France and beyond its borders). AC3A identifies in particular new subjects where agriculture is not yet, or little involved. Its interests lie in subjects linked to: bio-based products, biomass, use and transformation of agricultural by-products, energy, climate change, ICT for agricultural management, young farmers, evolutions in advisory. AC3A was founded to cooperate in transnational networking and positions itself at the crossroads of development, research, training, facilitation and innovation for agriculture in the Atlantic area. Its team believes that cooperation between different actors using different approaches and bringing together various disciplines is key, thus the association works in cooperation with universities, research institutions, local authorities and policy makers and entrepreneurs (including farmers and rural VSEs). AC3A also works with organisations from various sectors such as business support, energy, education, tourism. Pascal Dagron is head of mission at AC3A. 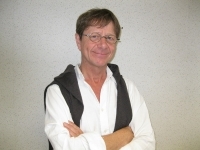 He has vast experience in the field of international cooperation since 1989. He has coordinated and participated in multiple research and knowledge exchange projects. His work focuses on innovation in agriculture and rural areas and on evolution of learning processes in agriculture. 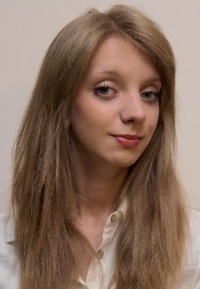 Monika Bogucka is AC3A’s project officer specialised in international project management and European funds as well as communication. She is active in a number of transnational projects aimed at innovation and exchange of good practices, for instance Food Heroes and BIOREGIO. Her main interests lie in food waste, biological streams, renewable energies, and circular economy. Mathieu Merle is specialised in agronomy. 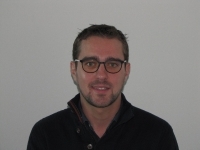 He works as innovation project manager in the Regional Chamber of Agriculture of Brittany (CRAB), coordinating networks on innovation and agroecology, as well as “Innov’action” in the region. He is involved in EU projects such as Dairyman and Eurodairy. He also manages international relations of CRAB which has 300 elected members and about 650 permanent staff, including more than 400 advisors and project managers. Its activities based on the various aspects of agriculture development include advice, training, supporting groups of farmers, follow-up of “reference farms”, experimentation and demonstration in farmers’ networks and knowledge transfer centres.